(CNN) -- There's always news. Some weeks, though, it seems like nothing big happens. Not this one. Not at all. Terrorists massacring schoolchildren. 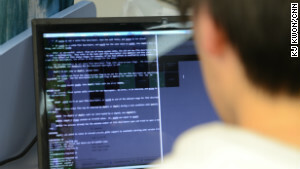 An international crisis over hacking -- and a Seth Rogen movie. A horrific hostage siege. A sudden, total turnaround on U.S.-Cuba relations. Scores of women and children kidnapped, again. And it's not only that these stories were big, it's that they all could have big implications. Australia can seem a world away from most everything. But the world learned this week -- by watching round-the-clock TV footage or tracking constantly updating Twitter feeds -- that Islamist terrorism isn't one of them. It all revolved around the Lindt Chocolate Cafe in Sydney, a place that businesspeople, tourists and locals might go for a bite, a drink or just to relax. And it was just that until 10 a.m. Monday, when Man Haron Monis, an Iranian-born self-styled Muslim cleric with a long criminal record, turned it into hell for his 17 victims. Australian media captured haunting images of his hostages pressed against the cafe's windows, reportedly taking turns holding a black flag with Arabic writing on it that said, "There is no God but God, and Mohammed is the prophet of God." Monis was determined to be heard. Sky News said he contacted three media outlets, calling himself "the brother." He reportedly demanded the flag of ISIS, the Islamist extremist group blamed for atrocities in Iraq and Syria. He used hostages not only as pawns, but messengers -- forcing them to make videos stating his demands. Hours into the ordeal, at least five hostages managed to run out, terrified, toward police in riot gear. 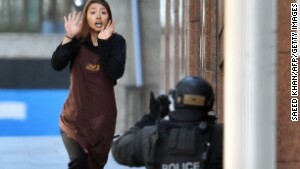 Monis acted "extremely agitated" after realizing what happened, "screaming orders" at those who remained, according to Chris Reason from CNN affiliate Seven Network. There was gunfire the cafe about 16 hours after the siege began. That's when riot police, heavily armed and using stun grenades, stormed in. When it was all over, Monis was dead -- and so, too, were two hostages. 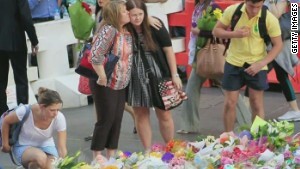 The story showed that Australia -- few places are, it seems -- is not immune to terror. 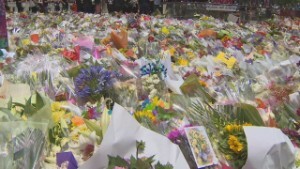 It also showed how major news in a major city like Sydney unfolds in the social media age, with people sharing images, updates and opinions online. "This really reminded me about the (2013) bombing in Boston," said Penn State University journalism professor Bu Zhong, who researches how people process information. "Everybody had a camera in their hand, they were showing snapshots. Those kinds of messages are extremely important." It also showed something good about humanity in the form of the viral #illridewithyou campaign, in which Australians used social media to take a stand against Islamophobia by offering online to ride public transit with Muslims who might otherwise fear a backlash because of the attack. 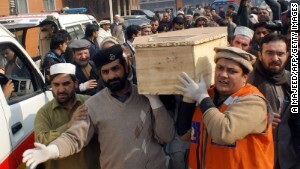 The same day this nightmare ended, another began about 11,000 miles away, in Peshawar, Pakistan. To news followers, what happened in Peshawar may not have seemed as immediate or as current as in Sydney. There wasn't the tick-tock of social media posts, the plethora of reporters. But that doesn't make it any less horrific. Even now, it's hard to make sense of it: Why would gunmen burst into a school and massacre 132 children -- simply because they'd gone to class? The Pakistan Taliban said they ambushed the school -- which mostly admits soldiers' children -- because the students aspired to follow in their fathers' footsteps by joining the military. Still, these were children, from 12 to 17 years old. 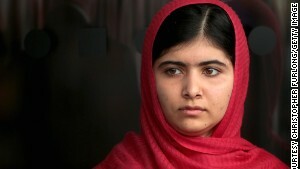 As far as we know, they'd never picked up a gun to go after the Taliban. Some of them didn't even have parents in the Pakistani military. And just like the vast majority of their countrymen, most were Muslim, just like their attackers. The attackers who burst through the back doors of the Army Public School and Degree College's auditorium roared "God is great!" recalled 14-year-old student Ahmed Faraz.
" 'A lot of the children are under the benches,' " one of them said, the ninth-grader recalled. " 'Kill them.' "
What started late Tuesday morning was over by early evening, after Pakistani troops entered the school and killed all seven militants behind the attack. What they left behind is revolting. Bullet-ridden classrooms. Dried, reddish-brown blood under overturned chairs. Scores of young people hospitalized. 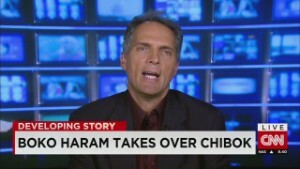 CNN's Nic Robertson is no stranger to covering bloodshed and other travesties, but this one stands out. "It hurts," he wrote. "And there is no getting away from it." The Peshawar attack was proof that there's evil in this world, evil that doesn't appear to be going away. And it's not just in Pakistan. Terror lurks on a daily basis in other places, like Nigeria. 200 girls go missing: What would you do? That's where men stormed the remote village of Gumsuri from two directions. Resident Modu Kalli said the militants fired heavy machine guns and poured canisters of gasoline on houses before setting them on fire. "We lost everything in the attack. I escaped with nothing, save the clothes I have on me," he said. But Kalli did escape. At least 32 men did not, while at least 185 women and children were herded together and taken away. This attack was tied to Boko Haram, which has terrorized Nigeria since 2009 in its mission to impose its strict interpretation of Sharia law in the African nation. 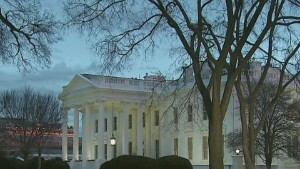 The group has been blamed for numerous acts of terror, from storming buildings to attacking schools to bombing markets. 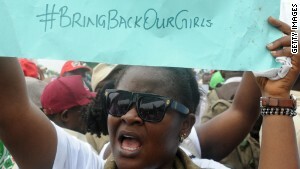 Its most well-known raid came last April, when an estimated 276 teenage girls were kidnapped from a boarding school in Chibok, not far from the site of this week's attack. The world reacted with fury to the Chibok attack -- from a declaration of "war on Boko Haram" to the viral #BringBackOurGirls movement. Yet, while some managed to escape, most of those girls still aren't "back." 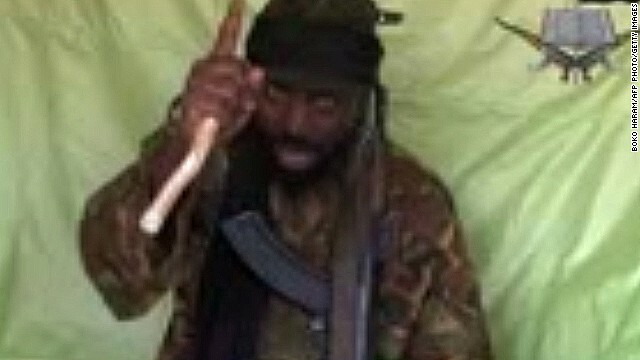 Boko Haram leader Abubakar Shekau even brazenly promised to sell them. Will there be just as big of an uproar for the latest kidnappings? It's too early to tell, but a few things work against it, like the remoteness of where the attack occurred (it took four days for the news to get out) and the fact that it occurred during a stretch when other horrible things were occurring around the world. Commenting generally on what happens when there's a rash of big news stories in a confined period, Northwestern University professor Pablo Boczkowski said those who care about these things "don't become numb." "Time is not unlimited either," Boczkowski added. "There is a limit to what people can absorb, and that goes for news as well." Yet not all this week's top stories involved death and destruction. One of them, in fact, was -- at least in part -- about freedom. 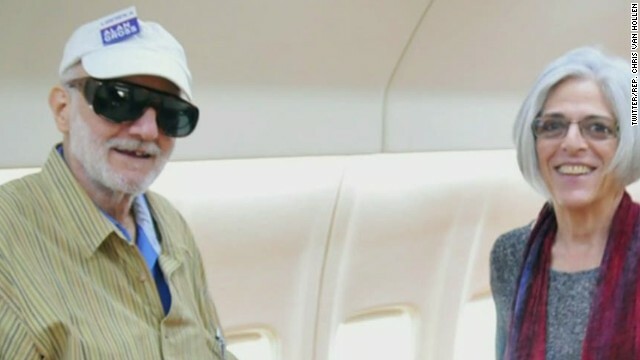 Mystery Cuban spy released to U.S.
Freedom for Alan Gross, a USAID subcontractor who chomped down a corned beef on rye sandwich after being let go after five years in captivity in Cuba. He was joined by a U.S. intelligence agent who had been imprisoned in Cuba for 20 years. 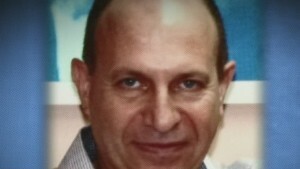 Sources in and out of government identified him as Rolando Sarraff Trujillo, a man who President Barack Obama said "provided America with the information that led us to arrest the network of Cuban agents." Those agents included three Cubans who, as part of a larger deal, also got out of prison and went home. They were convicted of espionage in U.S. federal court in 2001, for gathering intelligence for their native Caribbean nation. Yet this story isn't just about these five men. It's about what they represent: The decades-long rancor between their respective nations, a relationship dating to the Cold War that appears to be transformed in light of announcements from Obama and Raul Castro, the leader of communist Cuba. "Today, America chooses to cut loose the shackles of the past, so as to reach for a better future for the Cuban people, for the American people, for our entire hemisphere and for the world," Obama said about his move to normalize relations with Havana. This story doesn't have the drama of Sydney or Peshawar. At least this week, no one died because of it. And it took 18 months of negotiations to happen, with more negotiations still to come. That doesn't mean it doesn't hit home. Just ask residents of Miami's Little Havana, where angry debates erupted between younger demonstrators who backed Obama's decision and older ones opposed to the move. 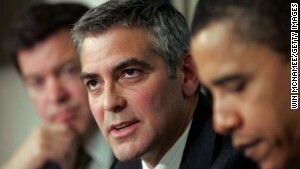 The latter sentiment was heard in shouts of "Obama a coward! Coward, coward, coward!" outside the iconic Versailles Cafe. That's why, especially for Cuban-Americans, this story will probably resonate for many days, weeks, if not years to come. "There's a difference between being interested in a story because it speaks to you," Boczkowski said, "and being interested in a story because you identify with it." For all this tragedy and upheaval, the story that resonates with the most people may be the one about a Seth Rogen-James Franco movie depicting the assassination of North Korean leader Kim Jong Un. 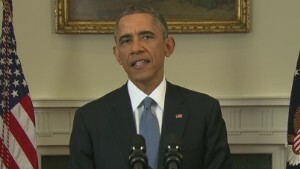 Will the White House retaliate for hack? "We will clearly show it to you at the very time and places 'The Interview' be shown, including the premiere, how bitter fate those who seek fun in terror should be doomed to," the threat said. "The world will be full of fear. Remember the 11th of September 2001." The fallout was swift. Movie theater chains chose not to show the movie. Sony pulled the film from all theaters Wednesday. This peeved many, including celebrated comedic director Judd Apatow and actor George Clooney, who believe Sony shouldn't have caved. "Really hard to believe this is the response to a threat to freedom of expression here in America," tweeted Ben Stiller. Contrast such views to sentiment in Pyongyang, where Georgetown University professor Victor Cha suspects, "They're probably popping the champagne corks." What's the most interesting thing about this story? Is it about technology, and how hackers from an impoverished, undeveloped nation can wreak such havoc? Is it about geopolitics, and North Korea flexing its muscles? Is it about entertainment, and drawing the line when it comes to threats and the First Amendment? Is it a national security issue? Any of them are valid reasons for being interested. Above all, it might be that there are many levels that people can talk about, perhaps without the raw emotion of the Cuba story or the shuddering, uncomfortable realities of what happened in Pakistan and Nigeria. "It spans across audiences, and it does elicit a strong emotional component now that Sony (canceled its release)," Boczkowski said. And, for many, consuming news "is more about having stuff to talk about."